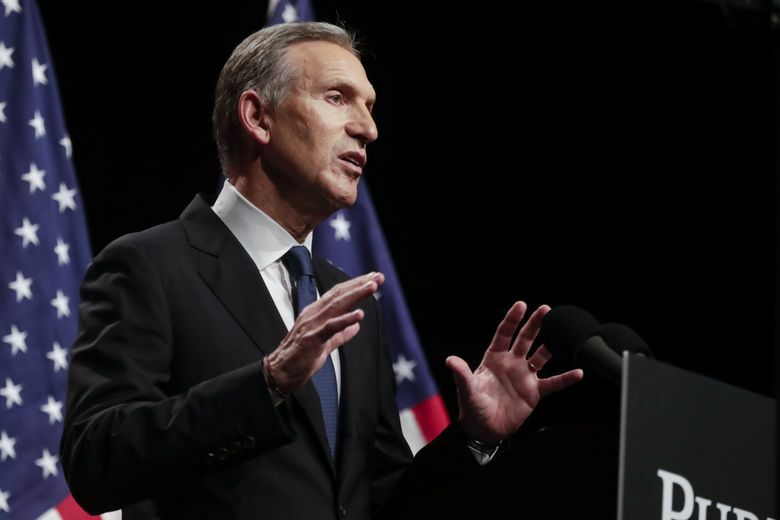 Even after facing public criticism over his spotty voting record, Howard Schultz failed to vote in this month’s Seattle school-levy election. King County Elections records show a postage-paid ballot for the Feb. 12 special election was mailed to the billionaire former Starbucks CEO and potential presidential candidate on Jan. 23, but never returned. The no-show was in line with Schultz’s pattern of ignoring many elections over the decades, even while urging increased civic and political involvement by Americans. Seattle Times columnist Danny Westneat reported last month that Schultz had voted in just 11 of 38 elections dating to 2005. While he has voted in every presidential election, Schultz has skipped most state and local elections, as well as some midterms. Asked Wednesday why he didn’t vote on the latest school levies, even after facing scrutiny on the issue, Schultz, who was traveling in California, issued a brief statement through a spokeswoman. “It would have been great to vote in every election, and I commend all of the Seattleites who have a 100% voting record. I didn’t vote in every local election, but I am proud of Sheri’s and my civic record in this community,” the statement said, referring to his wife. Both of the Seattle Public Schools property-tax levies passed overwhelmingly. The $1.4 billion, six-year capital levy won with 73 percent support, while a three-year operating levy, which will raise as much as $815 million, had 70 percent support. Seattle schools officials had warned that the district would have had to cut 1,000 positions if the operating levy had failed. Turnout in the February special election was low, drawing only about 31 percent of eligible voters, according to King County Elections. Dean Nielsen, a Seattle political consultant who worked on the school-levy campaign said Schultz shouldn’t get a pass. “In a vote-by-mail state where you have your ballot for three weeks, it’s absolutely inexcusable to have such an abysmal voting record,” said Nielsen. Washington’s other potential 2020 presidential candidate, Gov. Jay Inslee, meanwhile, continued his streak of voting in every election by casting a ballot in the special election in Kitsap County, records show. Inslee has been signaling a likely run for the Democratic nomination with a heavy focus on the need to combat climate change. Schultz, 65, has been on a national tour promoting a new autobiography as well as his notion that the two-party political system has led to ideological extremes, leaving millions of centrists without representation. In a message to supporters Tuesday, he said the reaction “has been beyond any expectation that I had,” pointing to robust book sales and messages from people who agree with his diagnosis of the state of U.S. politics. His possible independent candidacy has drawn a furious reaction from Democrats, who fear he could split the vote and guarantee the reelection of President Donald Trump. However, Schultz has emphasized he does not want Trump to win, and will not run if Democrats nominate a centrist in 2020. “I am committed to ensuring that I will do nothing to re-elect Donald Trump. I mean it,” he wrote in his recent message. Staff reporter David Gutman contributed to this report.